I frequently identify myself with the last style. Clever! Makes me rethink which style I should write in. 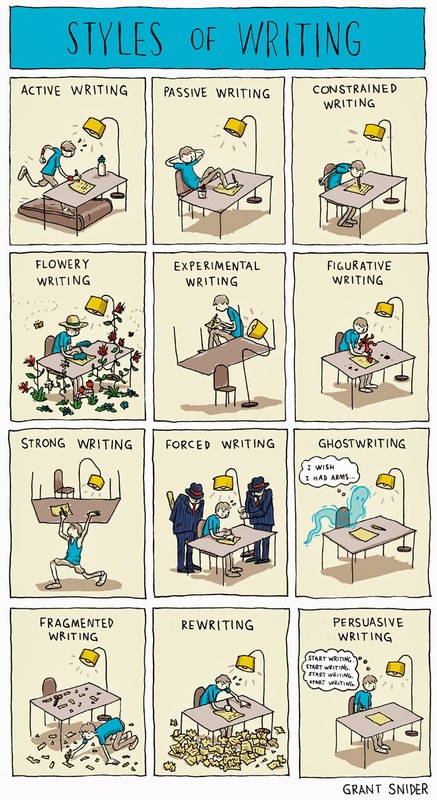 Forced writing is creepy, for all the people in the world where it's true. The rest are funny!